Susannah Cahalan would later be diagnosed with anti-NMDA receptor encephalitis. Her diagnoses would come weeks after the onset of symptoms—symptoms which included psychosis including hallucinations, paranoia, and delusions, seizures, catatonia, memory loss, changes in mood and personality, aggressive behavior, disorganized thought, and speech disintegration. This is not a mental illness. It is a purely physiological one. Anti-NMDA receptor encephalitis is an illness characterized by the inflammation of the brain. It is an autoimmune disease in which the body produces antibodies against its own NMDA receptors that control important electrical impulses in the brain. Antibodies bind to the receptors causing them to internalize from the cell surface. Their internalization causes a lower density of these receptors to be present on the cell surfaces of the brain. Less of these receptors means the brain’s electrical impulses become unregulated which leads to the symptoms described above. Why these attacker antibodies are formed in the first place is not well understood. In some cases but not all, their presence can be explained by the presence of a tumor, typically a teratoma present in the ovaries and testes that contains different types of body tissues including brain tissue with NMDA receptors. The mechanism for this is not yet well understood either, but the idea is as follows. The human body produces anti-NMDA antibodies to attack the tumor but they end up attacking the brain, where NMDA receptors are in high concentration as well. This attack results in encephalitis. The removal of said tumor leads to complete recovery in most patients, which corroborates the hypothesis. However, only 50% of cases in the general patient population present with an ovarian teratoma, so this hypothesis doesn’t explain the origin of these antibodies in 50% of patients. Five hundred thousand people globally suffer from encephalitis. The number of people who suffer from anti-NMDA receptor encephalitis particularly is in the thousands, but this number is an underestimate. Psychotic manifestations of this disease lead patients to first see psychiatrists. This often results in misdiagnosis. Two years since the disease has been discovered, Dr. Souhel Najjar, a professor of neurology at NYU Medical Center, estimates estimated that 90% of people suffering from the disease went undiagnosed. In fact, many case studies support his view that this disease is often misdiagnosed. One case study from Taiwan on a 16 year old girl with the disease revealed that she was initially thought to be suffering from psychotic mania. She was later diagnosed with anti-NMDA receptor encephalitis. Moreover, another study involving 459 people diagnosed with an array of psychiatric disorders found that 9.9% of those diagnosed with schizophrenia were actually found to carry anti-NMDA receptor antibodies, suggesting possible misdiagnosis. 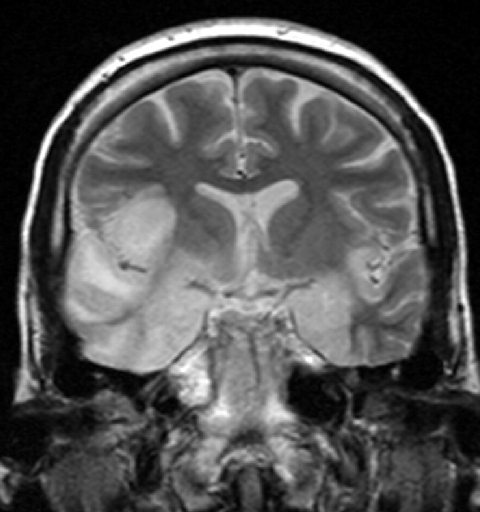 Two of the patients were later definitively reclassified with anti-NMDA receptor encephalitis. A recent 2014, study called for psychiatrists to become more aware of the disorder to avoid misdiagnosis. Because of its physiological nature, rather than psychological, anti-NMDA receptor encephalitis is easily treated. If patients are diagnosed correctly, they can receive effective treatment, return to normal, and avoid the institutionalized life a misdiagnosis with schizophrenia or bipolar disorder sometimes carries. However, despite this cheerful note, there is another factor of consideration. Even if people were diagnosed correctly, could they afford costly treatment? Treatment for anti-NMDA receptor encephalitis involves the administration of anti-inflammatory drugs and plasmapheresis. If a teratoma is present and causes abnormal immune response, the teratoma is removed. When these first line treatments fail, immune-suppressants that destroy antibody-generating cells may be employed. This second course of treatment is effective in more than 75% of patients. Despite their effectiveness, both treatments, however, are exorbitantly expensive. Each IVIG costs $20,000. Considering that some courses of treatment require 20 of these, that means $400,000 for just one of the procedures necessary. Susannah Cahalan’s own total cost of treatment was $1 million. The situation gets worse for patients in developing countries, where hospitals do not have the resources to treat such a disease even they were able to diagnose them. However, most patients are simply misdiagnosed with psychotic disorders and get locked in mental institutions across the world. It is utterly harrowing to think that there are people who could be treated if diagnosed correctly, but, instead are deprived the healthy life they could have. There is a long road ahead in the fight to diagnose and treat those with anti-NMDA receptor encephalitis globally. And it starts with the dissemination of knowledge about the disease and its manifestations to psychiatrists and neurologists alike worldwide. Hopefully, with the advent of more affordable treatments, patients in developing nations will have a better fighting chance against it. Susannah Cahalan was a healthy 24 year old journalist for the New York Post when suddenly she developed symptoms of psychosis. People were ready to diagnose her with bipolar disorder, before a physician name Dr. Souhel Najjar discovered her brain was inflamed. 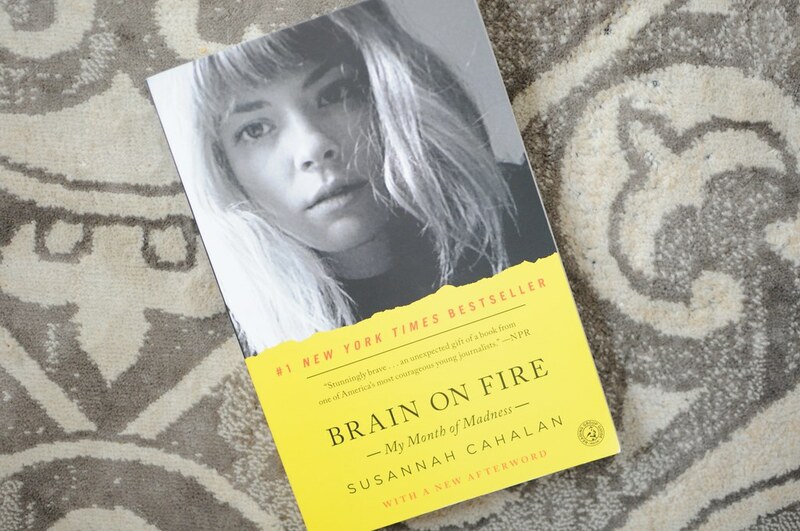 She would later be diagnosed with anti-NMDA receptor encephalitis and write the book Brain on Fire which chronicles her battle against the disease. Here is a picture of her time in an epilepsy ward on the road to the discovery of her diagnosis. This moment captures one of her delusions as she stares at a TV in the hospital room believing she is on the news. Cahalan, Susannah. Brain on Fire: My Month of Madness. New York: Simon & Schuster Paperbacks, 2013. Print. Brenton, Nicholas, Richard Schwartz, and Laura Madoo. “Anti-NMDA-receptor Encephalitis: A Review.” Contemporary Pediatrics. Modern Medicine Network, 1 July 2015. Web. 8 Oct. 2015. “What is Anti-NMDA Receptor Encephalitis?” Anti-NMDA Receptor Encephalitis Foundation, Inc. N.p., n.d. Web. 8 Oct. 2015. Kayser, Matthew S., and Josep Dalmau. “Anti-NMDA Receptor Encephalitis in Psychiatry.” Current Psychiatry Reviews7.3 (2011): 189–193. PMC. Web. 8 Oct. 2015. Tumbi, Adil et al. “Anti-N-Methyl-D Encephalitis.” Innovations in Clinical Neuroscience8.9 (2011): 24–25. Print. Kayser, MS, MJ Titulaer, N. Gresa-Arribas, J. Dalmau. “Frequency and Characteristics of Isolated Psychiatric Episodes in Anti–N-Methyl-d-Aspartate Receptor Encephalitis.” JAMA Neurol. 70.9 (2013):1133-1139. Print. “Support and Understanding.” International Encephalitis Consortium. N.p., n.d. Web. 8 Oct. 2015. Peery, HE, GS Day, A. Doja, C. Xia , MJ Fritzler, WG Foster. “ Anti-NMDA receptor encephalitis in children: the disorder, its diagnosis, and treatment.” Handbook of Clinical Neurology112. (2013):1229-1233. Web. 8 Oct. 2015. “Souhel Najjar.” North Shore-LIJ Medical Group. N.p., n.d. Web. 8 Oct. 2015. Cadwalladr, Carole. “Susannah Cahalan: ‘What I Remember Most Vividly Are the Fear and Anger'” The Guardian, 12 Jan. 2013. Web. 8 Oct. 2015. Kuo, YL, et al. ” Anti-NMDA receptor encephalitis with the initial presentation of psychotic mania.” Journal of Clinical Neuorscience 19.6 (2012): 896-898. Science Direct. Web. 8 Oct. 2015. Steiner, Johann et al. “Increased prevalence of diverse N-methyl-D-aspartate glutamate receptor antibodies in patients with an initial diagnosis of schizophrenia: specific relevance of IgG NR1a antibodies for distinction from N-methyl-D-aspartate glutamate receptor encephalitis.” JAMA Psychiatry. 70.3 (2013): 271–278. Web. 8 Oct. 2015. Maneta, Eleni and Georgina Garcia. “Psychiatric manifestations of anti-NMDA receptor encephalitis: neurobiological underpinnings and differential diagnostic implications.” Psychosomatics. 55.1(2014): 37–44. Web. 8 Oct. 2015. “Frequently Asked Questions.” Autoimmune Encephalitis Alliance. N.p., n.d. Web. 8 Oct. 2015. “Living with AE Treatment.” Autoimmune Encephalitis Alliance. N.p., n.d. Web. 8 Oct. 2015. “Glossary.” Autoimmune Encephalitis Alliance. N.p., n.d. Web. 8 Oct. 2015. Dalmau, Josep et al. “Clinical experience and laboratory investigations in patients with anti-NMDAR encephalitis.” Lancet Neurol. 10.1 (2011): 63–74. PMC Web. 8 October 2015. ← Sustainable Development Goals–The Future of Global Health?